Inspired by the ancient Chinese recovery technique of Gua Sha—known to modern trainers as Instrument Assisted Soft Tissue Mobilization (IASTM)—the MobilityWOD Leopard Claw is a highly specialized tool that gives athletes the ability to “scrape” damaged muscle tissue on their own time, potentially improving blood flow and promoting faster healing. While early Gua Sha treatments were conducted with horns or animal bones, the Leopard Claw provides a much more effective, modern design—made in the USA from medical grade stainless steel with raised “leopard spots” for a firm grip. The Claw is available from Rogue in a polished steel and gun metal version, and it can be used on all edges. Convex Edge: The convex edge of the Leopard Claw is used to scan over the targeted muscle tissues and detect abnormalities. Once they are discovered, the user can increase the frequency of the scraping above and below the point of restriction to desensitize the tissues. Then more pressure can be used to affect the deeper layers of tissue. Concave Edge: This side of the tool can be used to spread out and increase the surface area of the tissues being treated. Claw Ends: The ends on both sides of the Claw are used for scraping smaller areas, and can be used to scrape across the muscle fibers or against the grain. 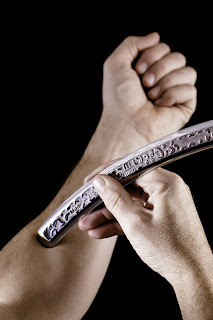 The length of the Leopard Claw makes it easy to grip in both hands when scraping larger muscle groups. No matter which area you’re treating, MobilityWOD highly recommends using an emollient on the skin to provide a smooth glide for the tool. A water soluble product can help neutralize your skin's pH by preventing bacterial growth. This also helps promote healthy skin and minimizes clean up when you are done scraping. When I first received the Leopard Claw, I was impressed by how solid and well made the tool was. It has a curved design that fits firmly in your hand. The smooth curves allow both athlete and therapist to glide smoothly over tight and restricted muscles taking pressure of the myofascial system and restrictions effecting the muscles, joints, tendons and fascia. The Leopard Claw is very effective in flushing out sore and tired muscles as well as getting to those hard to reach places where the muscle and tendon connect. The unique design allows the user to apply firm direct pressure to the target area with the use of the claw ends. Made from solid stainless steel, this tool is lightweight and very portable compared to so many of the novelty massage tools out there. The ends are great at working directly and more specifically with trigger points and the curved edges work well for specifically manipulating the fascia. Also, its much less expensive than the Graston tools ($1,100 +) coming in at $150 before shipping. A quasi single sided bevel tool. One side of the tool is flush while the other side is rounded. The flush side has a slight bevel on the edge. The rounded side is entirely a bevel. The weight feels good. You can go light or deep, when performing self-IASTM. The tool doesn’t feel cheap at all. For self-IASTM, this is the tool to buy. I own Myofascial Releaser’s Ellipse Pro and Tear Drop bar and the Wave Tool. I recommend the Leopard Claw if you need an IASTM tool for self treatment. The Wave Tool and Myofascial Releaser are too short to get your back and are a bit short for going deep on your legs. The smaller tools also promote hand fatigue when you’re working your quads and hamstrings. The Leopard Claw’s length is just right! The Tear Drop bar is excessive and hollow, so I can bend it. I am not concerned that I will bend the Leopard Claw. 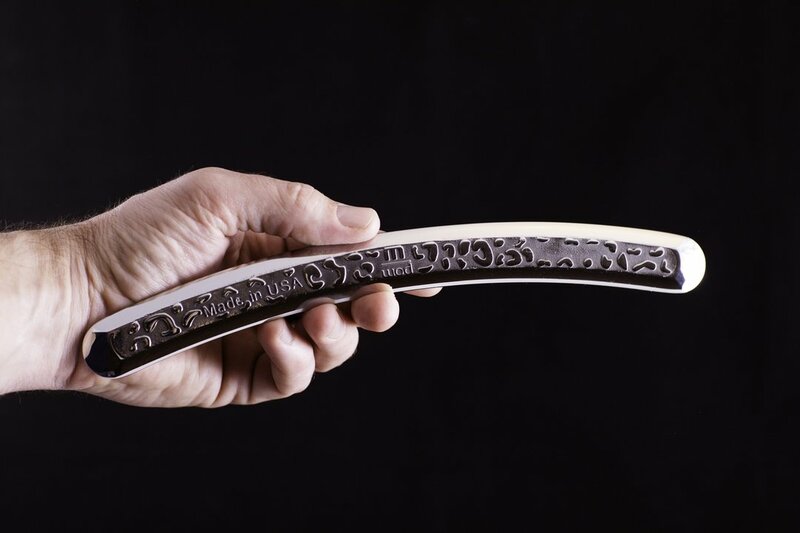 The curvature of the Leopard Claw promotes good contact with your back and legs. This stays in my gym bag so I effectively and efficiently use it whenever I need to. Each angle of the tool can be utilized depending on the tissue one is working on, alleviating the need for different sized tools & a bulky brief case to carry them around in. Though this was intended for self maintenance and mobility, One will not be disappointed if they tried this, for the quality this price is a steal compared to the other tools on the market. I love coupling it with Combat one field foam as well, to allow for clean/smooth gliding over the skin. If you are in the market for only one tool, then, make it this tool. Get your own Leopard Claw at - use code "brian5" for 5% off!